Why Choose Heat Reduction and UV Films? What is the procedure when ordering Heat Reduction and UV Films? Supply and fit 3M, 610A Neutral Ultra Violet Protection window film to prevent ultraviolet damage to valuable historic artefacts. 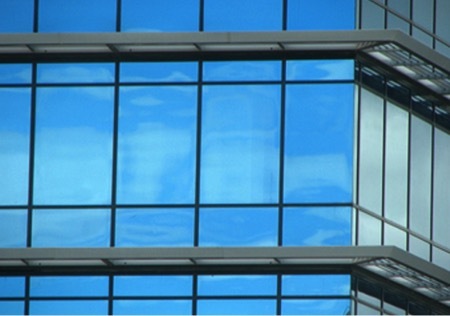 Indeed, glass has become an increasingly popular element in many modern workplaces, leading to an increased risk of solar heat gain and glare. Tinted glass does little more than change the appearance of the glass, while blinds do not actually keep the property cool – they just reduce the ingress of light. By applying solar-control UV Reduction window film, we can reject unwanted solar heat gain and glare, block damaging ultraviolet rays, and provide electromagnetic shielding. As an added bonus, the visual appearance of your work space is greatly enhanced! In addition to making working conditions uncomfortable, solar gain also leads to higher energy costs, accounting for about 20% of the cooling energy load in commercial properties during the summer months. Installing solar-control film is estimated to pay for itself in reduced energy bills within two to three years, reducing temperatures by as much as eight degrees centigrade. Where glare is a problem, solar-control window film reduces the effect without impacting on visible light levels or the view through the glass. This can enhance the productivity of staff, in particular those working on computer screens. 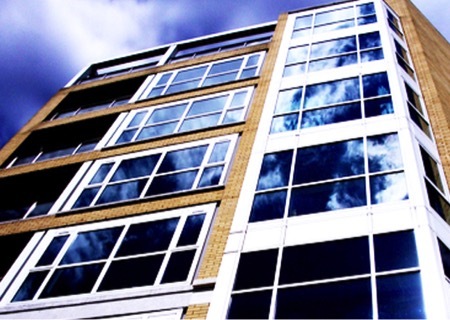 The extensive range of solar-window films available includes reflective, semi-reflective, dual-reflective, neutral-tinted and colour-tinted finishes to modify the appearance of the building. In addition, reflective finishes can provide privacy and one-way vision when combined with the correct lighting levels. Prescott Graphics are available to carry out a site survey or you can provide us with the quantities and dimensions in millimeters or inches. Let us help you choose the type of film best suited to your specific requirement. Provide health and safety documentation if and when required. Arrange a convenient date for the film to be installed. Is there anything you need to do prior to installation? 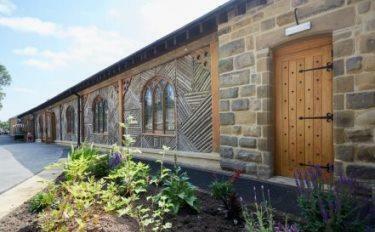 How do we apply the window film? What are Heat and UV Reduction Films? Heat & UV reduction films are available in a wide range of performances with some films claiming to reduce excess heat by 80% whilst also reducing harmful UV light. Heat and UV reduction films are also available in a large range of shades and colours with some films being totally clear whilst still retaining UV reduction properties. Why do I need Heat & UV Reduction Films? 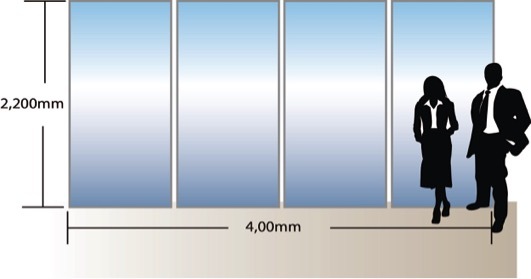 What types of Heat and UV Reduction Films are available? Heat and UV reduction films are available in a large range of performances and qualities which can be tailored to your specific requirement. Does Heat and UV reduction film need to be fitted on the inside or outside of the glass? Do we need to do anything before the Heat and UV Reduction film is installed? Please ensure all windows are relatively clean as excessively dirty widows will incur an additional cost for the additional cleaning required. Please insure all electrical items and furniture / obstructions are removed from windows. How easy is Heat and UV Reduction film to remove? How long Heat and UV Reduction film last? How long will my Heat and UV reduction film take to install? How can I pay for Heat and UV reduction film services?